Peninsula Handball Club’s Amy Hardwick is a young passionate coach going places. 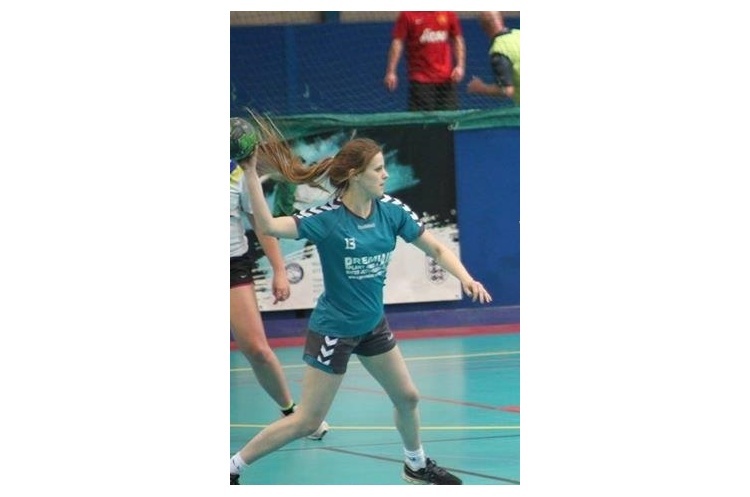 The 2018 England Handball Young Female Coach of the Year is studying for a Masters in Sports Coaching at Liverpool John Moores University. She also coaches the Peninsula Under-16 team, and at Wirral Grammar School for Girls, where there is a satellite club for Peninsula. Sport England’s This Girl Can campaign has highlighted that women often face different barriers to men in sports participation. Hardwick’s approach focuses on keeping young women in handball by engaging the players in session planning. “I always have a plan. I’ll always let everyone know what we’re going to do every session, and then ask them if they have any ideas. If we’re going to work on a skill, I’ll ask them if they have any ideas about what they’ve done in the past, or videos on Facebook or YouTube. If they want to try them out, I’m always more than happy for them to input. Hardwick is well-supported by other coaches at Peninsula. She says coaching is a lot about controlling the coach’s emotions in order to get the most out of the players. “It comes down to frustration. There are times you can see them doing something over and over again and you’ve told them, obviously you’ll get frustrated. Hold it back, and have a calm conversation with them. Maybe try it this way next time, maybe they weren’t confident enough to try it, and constantly giving them negative feedback is only going to knock their confidence anyway".